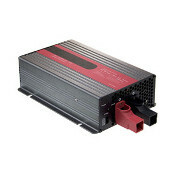 Lithium Battery Chargers | Lithium Power, Inc.
To charge a lithium battery in full, the charger has to start with constant current (CC) and move to constant voltage (CV) mode as it achieves full charge. Lithium Power’s charger will indicate that the battery is charged in full when the tapper current drops down to 250mA or lower in CV mode. 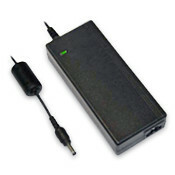 The lithium battery voltage will also drop immediately once the charging current is terminated. The reason is that the electromotive force is no longer present to push up the batteries’ charge, and chemical equilibrium forces the reaction to reserve a bit, with the voltage down. So, we design battery and charger pairs so that both devices can have handshake functions. They can communicate and deliver precise messages to users using an LED display. Different lithium chemistries (cells) require different voltages to fully charge, different voltage cut-offs to prevent damage and different maximum charging currents for safe use. The different chemical composition of each lithium cell requires a unique charge and discharge control system. All custom-made lithium battery packs have their own specific charging and discharging requirements. When we design lithium battery packs, we account for all aspects of their future use: The charging method, charging time requirements, charging temperature range, BMS protection, life cycle and optimal charging currents. Similarly, the charging device needs custom configurations to properly pair with its designated pack. 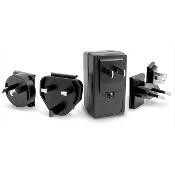 Charger housings also need to meet the demands of the environment in which they will be used. For example, do they need to be designed to meet IP65 or IP67 standards for water and dust resistance? Off-the-shelf chargers may not have the right fit for the charging connector. 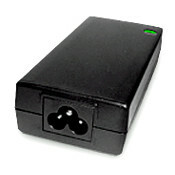 OEM customers may need UL/IEC certified chargers, for example. When an application needs to apply power to support the system device and to charge batteries at the same time, we can assist designing the power management of the system device to seamlessly achieve that goal. 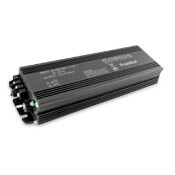 Charging lithium battery packs with high efficiency is a common requirement from our OEM customers. With our long professional experience and domain knowledge of lithium batteries and battery management, Lithium Power, Inc. will provide you with a complete and worry-free custom-paired charger to meet your specific needs. Safety is our key concern. We only provide industry-certified chargers designed to reliably and safely deliver high performance to our customers. Please contact info@LithiumPowerInc.com for additional information.